Forty-five per cent is a huge result for the Yes campaign. For months, I’ve believed that if Yes could get support up as high as 45 per cent, the independence referendum Yes voters would soon become a movement, a people who no longer accept being at the bottom of the pile. 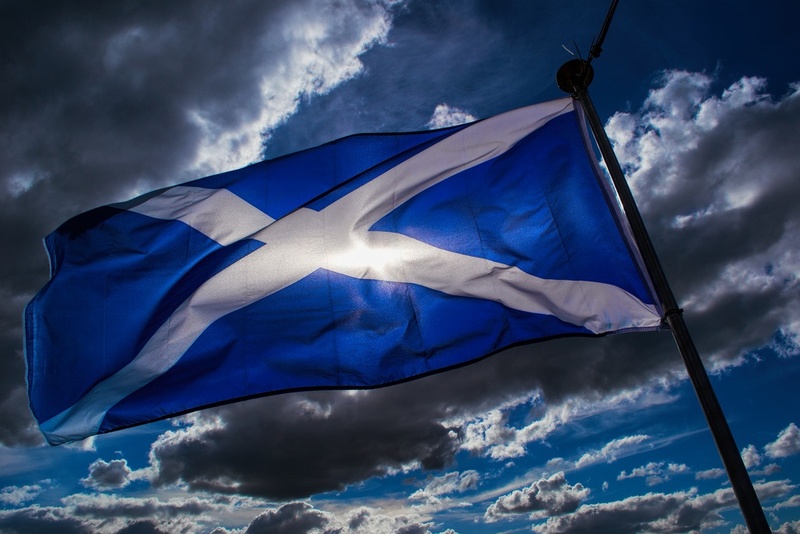 My feeling was that a 45 per cent turnout for Yes would probably bring about another referendum within a decade or so, and that’s partly because the No voters of Scotland were promised the world by Westminster in exchange for an X in a box, and I am doubtful that it will deliver on those promises in any meaningful way. Further betrayal, I expect, is imminent. It was only in the fortnight leading up to the vote that most of us began to believe a Yes win this time around might actually be possible. However, in the last 10 days before the vote Westminster threw all its might in Scotland’s direction with a heavy injection of fear, and the mainstream media provided the syringe. The country witnessed unthinkable images of Labour sharing a platform with the Conservatives, a party delivering austerity on a mass scale and hammering the poor. The scenes of Labour activists celebrating as the poor descended into despair in the early hours of 19 September were like a knife in the back for many of the party’s supporters. According to the SNP’s Nicola Sturgeon, 4,000 people joined the SNP in the hours following the referendum, and many of those were Labour people. The Scottish Labour party is in crisis. What is heartening in the aftermath of the result is reaction of the Yes voters, now terming themselves ‘The 45’. The political landscape in Scotland has been altered. The in-fighting of the country’s left may finally be at an end as a new left unconnected to the problems of the past takes its place. Scotland badly needs it. Scottish Labour have committed nothing short of a betrayal in the eyes of many of its backers, and the people are hungry for an alternative. On the evening of 19 September, Scotland once again was shamed by scenes of the country’s sectarian, bigoted mob. Perhaps the saddest thing about some of those working class men and women waving their Union Jacks is their inability to see or understand their own exploitation by the rich people in Westminster. ‘The 45’ will be at its most powerful when it can enlighten the full weight of the working class and extinguish the real lines of divide that the Westminster elite are happy to see remain. After all, the workers united will never be defeated. 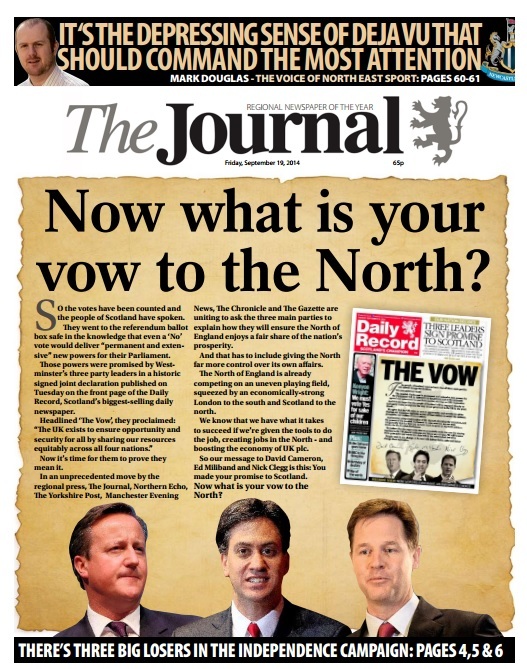 Outside of Scotland, newspapers in the north of England united on 19 September to publish a front page editorial calling for more powers in the north, demanding Westminster extend its ‘vow’. The movement for change in Scotland has already become contagious. A different future lies ahead and I hope it will be The 45 and its kindred spirits throughout the UK who lead it.